Kyitsel-ling is an boarding hostel that provides excellent learning facilities and supplementary education. Through our sponsorship program, children from the poorest segments of the Tibetan community can stay at Kyitsel-ling and attend school. 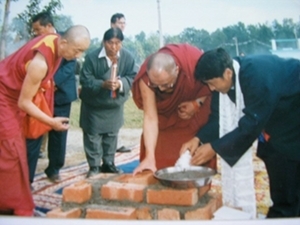 The foundation stone was laid by His Holiness The Dalai Lama on November 21, 1997, who named it KYITSEL-LING, which means “the place of happiness’. The Kyitsel-ling children attend the local Tibetan settlement school (classes KG to XII) and come home to Kyitsel-ling. While it is true that some Tibetan families have done well in exile, many continue to be very poor. Kyitsel-ling is a home for the poorest of the poor, children from broken homesand homes where the parents’ poverty and lack of literacy does not allow them toactively support the children’s academic growth. A large majority of Tibetan refugees in India make their living by selling sweaters and jackets. During the winters, they travel to different cities in India for business. Often their children’s education gets disrupted as they are compelled to follow their parents for lack of a place to stay. Kyitsel-ling ensures that at least some of them can have an uninterrupted academic year. Appreciating these needs, the establishment of Kyitsel-ling has been welcomed by all sections of the Tibetan community in exile. Initially planned as a center for fifty children, now it serves one hundred. One of the major aims of Tibetan education in exile is to help transmit Tibetan cultural heritage to the children. Kyitsel-ling’s location within a major Tibetan settlement helps to transmit the Tibetan culture to the children. Tashi Kyil Monastery is our next door neighbor and the center is surrounded by the sights and sounds of all things Tibetan. Traditional Tibetan prayers, Music and Dance are part of the children’s daily curriculum. At the same time, we offer resources for a quality modern education. 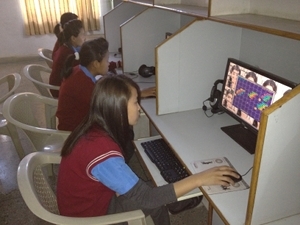 Resources at Kyitsel-ling include a small library and computer room. We hope that the education children receive at Kyitsel-ling will help Tibetan children to be firmly rooted in their own culture while be comfortable with the modern world.The happiness of the children here is paramount. We added a children’s park and small recreational center. Games and sports are a big part of the children here. The basketball court is the ‘center’ of many activities at Kyitsel-ling. Kyitsel-ling holds an annual local basketball tournament.The Kyitsel-ling children attend school at the local Tibetan settlement school and come home to Kyitsel-ling where tutors provide them with supplementary education in all school subjects. 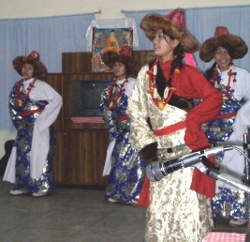 Additional staff are employed to teach computers, traditional Tibetan Dance and Music and to organize supervized games and sports. Over the past twelve years since its inception, Kyitsel-ling has touched the lives of hundreds of children. 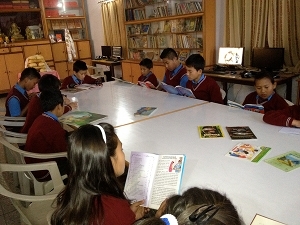 In the years ahead, we hope that we’ll be contribute our fair share towards the education of Tibetan children in exile.